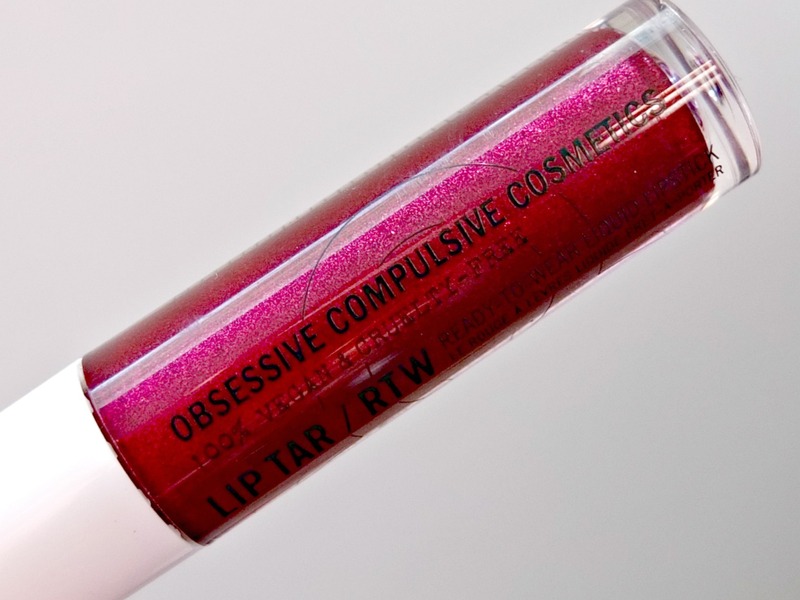 When I spotted the little tube of OCC Lip Tar Black Metal Dahlia in Selfridges, it was pretty much love at first site. Not only does the name of the shade help me to channel my inner goth, but the deep red, almost iridescent formula is what lipstick dreams are made of. For £11.50 it almost seemed like a bargain placed next to some of the more premium prices you’d find over in Selfo’s, so without a second thought I headed to the till, without even a pre-swatch, as I knew I needed this bad boy in my life. 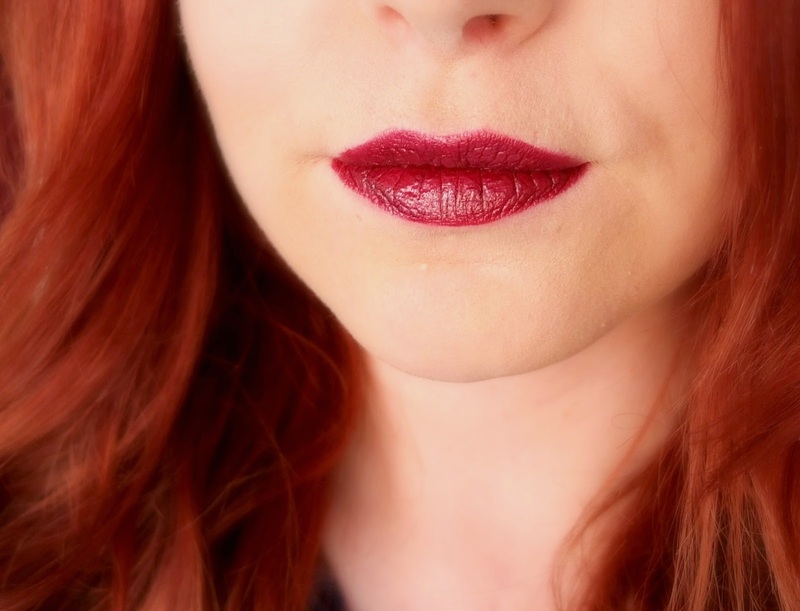 There’s been a lot of hype around OCC lipsticks around the interweb for many years, so it was always going to be amazing to see them in real life in the UK. Someone I knew had one of the lip tars in a tube once and I must admit, that didn’t really impress me, as you had a separate brush for application which just seemed like a lot of effort to me. These lip tar’s come in a tube with an actual applicator though, which y’know, is always handy. Considering this is such a high shine gloss upon application, it’s actually amazing how long it lasts. Even when blotted off the colour stays true and opaque. The formula has a metallic finish, with tiny tiny pieces of glitter throughout the colour. I thought this would just come off when blotted, but no, even the metallic effect stains on your lips alongside the colour. As you can see from the swatches of OCC Lip Tar in Black Metal Dahlia, even the smudgy bit delivers such a suckerpunch of colour. I’ve worn this to work a few times now, and only had to reapply once a day, well after lunch time. Even with several coffees and meals out of the way, the colour pay off is so impressive. I would recommend using a transparent lip liner, or going around your lips with a concealer and lip brush to seal the colour where it should be though, as the only downside of the colour is the slight bleed. I’m keen to invest in more from the range, to see if all of the colours have this type of formula, which lasts FOREVER. Have you tried any colours from OCC? Recommend me some more, I am obsessed.